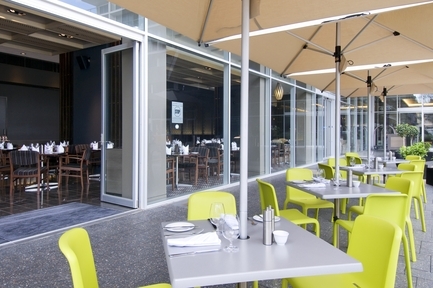 Salt Restaurant is located on the ground floor of the hotel and overlooks Hindmarsh Square. Salt Restaurant is open for breakfast and dinner 7 days a week. The quality of food has always been consistent and lovely, however service has also been consistently slow on average. Sorry can not except a wrong food order with a fairy bare restaurant and then wait 20 min for a dry chicken! The garlic bread was amazing while I waited and watched my wife eat. The fresh oysters and oysters kilpatrick were enjoyable. Service was the slowest I have experienced and the food was very very average. For a seafood buffet it was poor quality. Dined here a few weeks ago while staying at the hotel. Service was amazing, friendly staff and very accomodating. Unfortunately Friday night we were extremely disappointed , Dylan was out first and main point of contact throughout the dinning experience and he does not radiate the same enthusiasm as other staff. 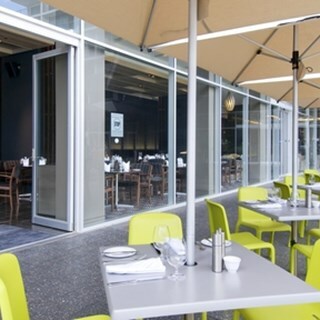 Will not return - will continue frequenting the Playford Restaurant in Adelaide - another Accor property, menu is also better at the Playford. This is my first bad review unfortunately while dining or staying with Accor. Chef specially prepared  an entree of beautiful scallops after hearing we loved the one that comes on the seafood mixed plate,they were delish. The whole barramundi was cooked to perfection. Desert was our favorite snow egg,perfect finish to our meal. All served with a smile by the lovely Elizabeth. Being Accor Hotel members, we certainly appreciate the professional and friendly staff at The Bar and Salt Restaurant. The food was delicious and the Menu was accommodating to all tastes. We found the atmosphere to be relaxing overlooking Hindmarsh Square Park. We hope to return mid-year to once again enjoy the wonderful hospitality. Cheers! Always a pleasure to dine here. Relaxed dining. The staff are very accommodating. We enjoyed our Christmas dinner at Salt very much. Thank you for making a special effort to make it so festive. Highly recommended. Catered to Dietary requirements with no fuss. Food was average for the price. Because it is Pullman I was expecting very classy/tasty  food. furnishing is very old. Very accommodating by opening the restaurant for lunch on a Sunday to allow us celebrate a special occasion with family who travelled from a number of regional areas. Much appreciated. Efficient and friendly service.